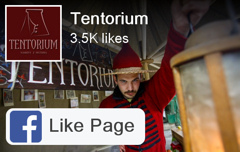 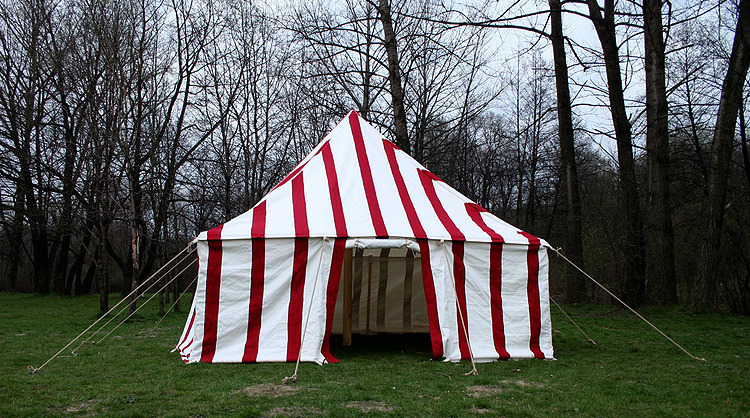 Big, officer’s historical tent from Napoleonic Era. 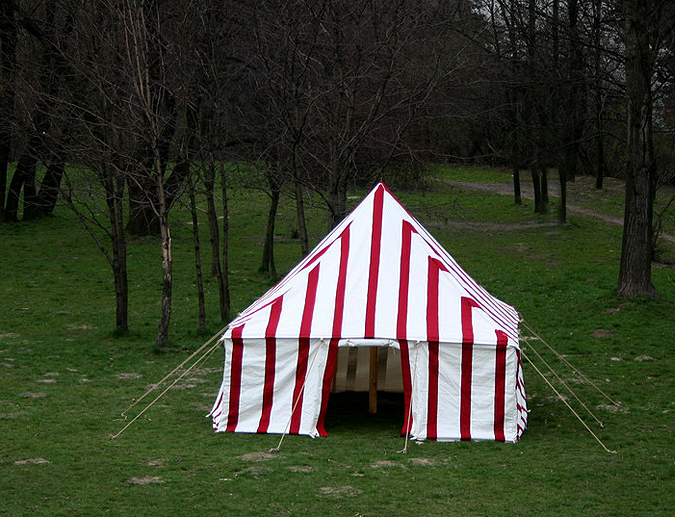 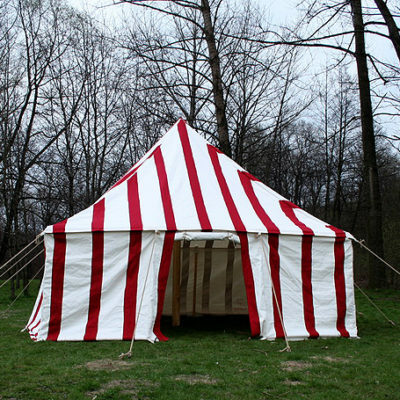 It also granted headquarters tent role. 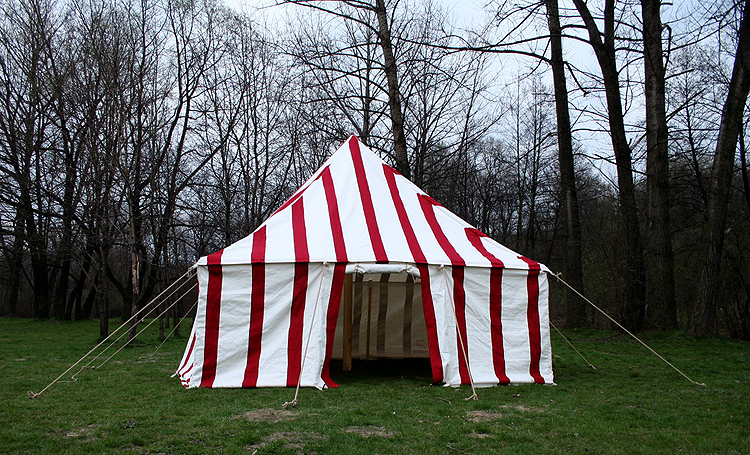 Probably had only one mast, and whole construction was supported with ropes. 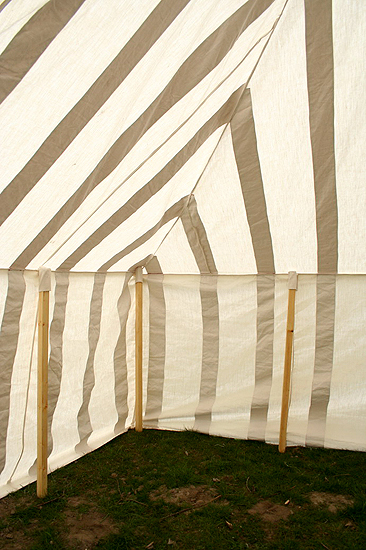 We make marquees with mini masts or with main mast only. 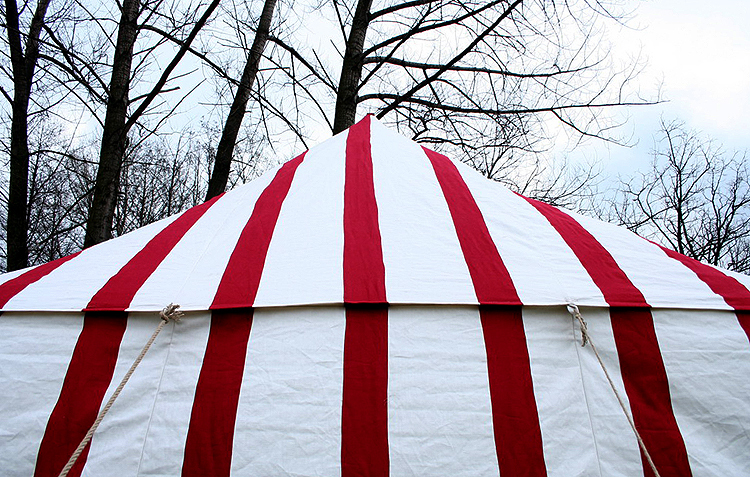 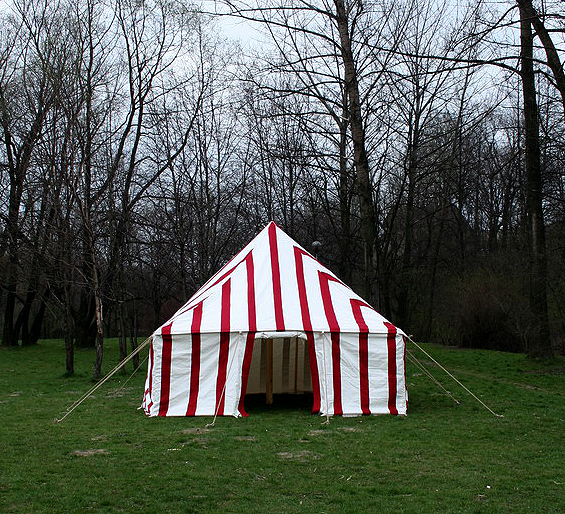 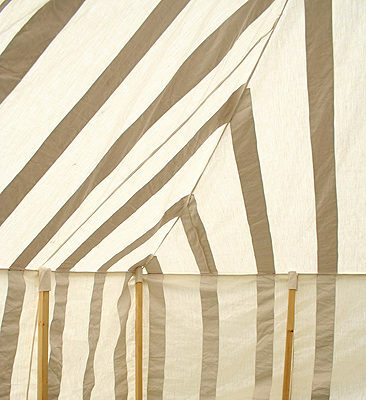 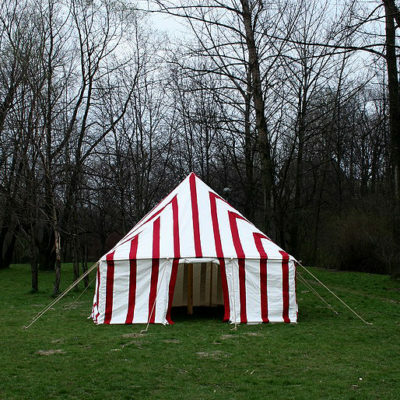 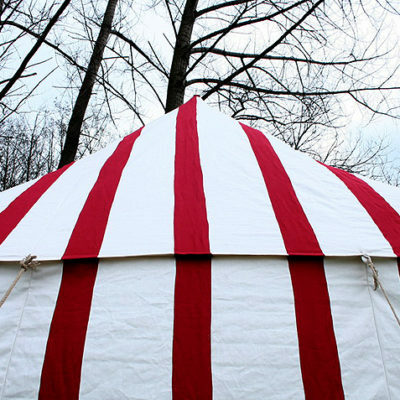 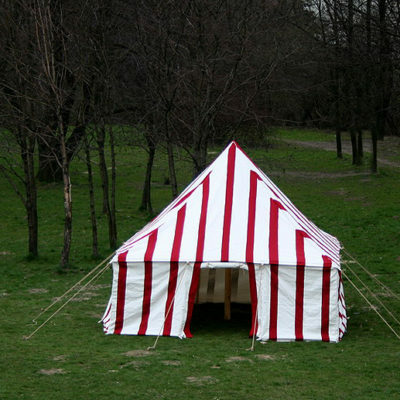 Historical tent mechanically made of whitewashed linen and decorated with red linen stripes.